Recently, I put cream cheese, Nutella, and orange zest between two pieces of bread and cooked it up like a grilled cheese. A little butter, a hot pan. 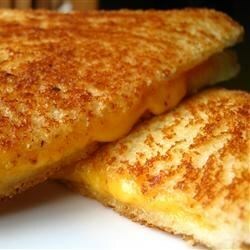 Grilled cheese is tried and true. It doesn’t need improvement. But I saw the recipe (though for grilled cheese, I’d call “recipe” a stretch) in this book and had to try it. I was skeptical. But, you guys. That sandwich was so good. It was warm (duh) and melty (duh) and bittersweet. Perfect for chilly weather, which we are getting plenty of here in Iowa. Hoffman’s collection focuses on the Prespa Lakes region of the Balkan Peninsula. The landscape, now the region’s “first transboundary park,” is the meeting place of Albania, Greece, and the former Yugoslav Republic of Macedonia. Hoffman’s essays work to argue that even the place most foreign to us can become a home if only we’re open enough to experience that place fully—if we’re willing to really sink down into it. The setting of Ladd’s novel, according to his author’s note, “owes its essential features to the Small Isles, the group of four Hebridean islands to which it putatively belongs.” More specifically, it shares characteristics with the smallest of those islands—Canna—off the coast of Scotland. While Hoffman’s collection posits that we can make a home anywhere, the characters in Ladd’s novel find themselves alternately running from, returning to, and ultimately bound to, their small island home. Home is nonnegotiable. The characters fight its pull and are drawn back in time and time again. Only one family member stays away, and he does so by disappearing entirely. In putting together this playlist, I chose wistful songs, songs that celebrate home and place, songs that mourn passing and change. Few have lyrics, and those that do include lyrics, allow them to sink into the fabric of the song. These are contemplative, heart-raw books. It is my hope that this playlist echoes them in that way. For more about the small heart of things, by Julian Hoffman, see this book trailer and this interview over at the Flyway blog. For more about What Ends, by Andrew Ladd, you can check out his book page, and also this interview we published with Andrew back when he first won the AWP award (and before he was the blog editor). Listen to the playlist here. Song list below!